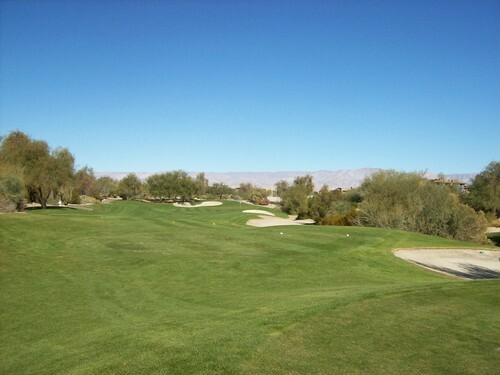 Earlier in December, I had the chance to play at Desert Willow Golf Resort’s acclaimed Firecliff course and I enjoyed it quite a lot. In case you missed it, you can read that review here. I decided it was worth coming back and playing the Mountain View course there. I figured it would be a nice way to end a year full of great golf. 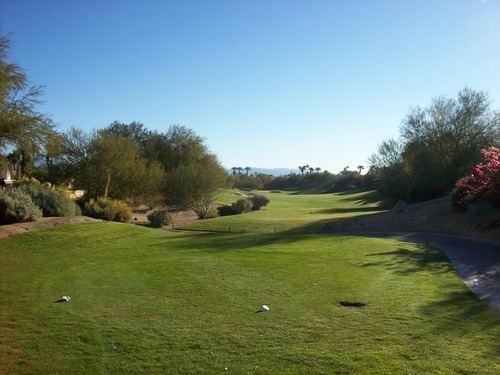 In fact, this course marked the 104th new course I played in 2012, which is crazy for me even to comprehend. 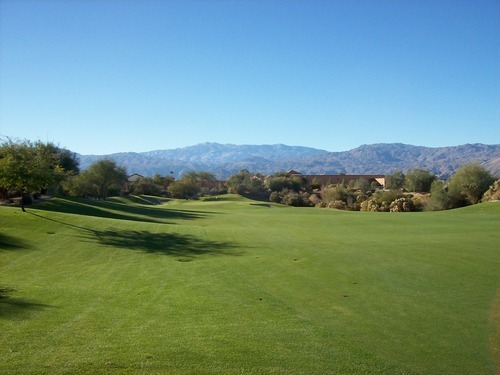 I played out here Monday with some of my friends from Greenskeeper.org. We originally had a 7:35 tee time. Unfortunately, there was a frost delay in the morning and it set us back about an hour. We teed off around 8:30 and were able to enjoy a nice morning pace of around four hours. They did a good job of getting everyone going and making up for the delay. We never really saw the group(s) ahead of us and the group behind never pushed too much, so we enjoyed the round. It was very chilly Monday morning, but the delay actually worked out in our favor in terms of the weather. It warmed up pretty quickly. It still stayed pretty cool in the low 60s, but there weren’t any clouds in the sky and it was another picture perfect winter day in the desert. 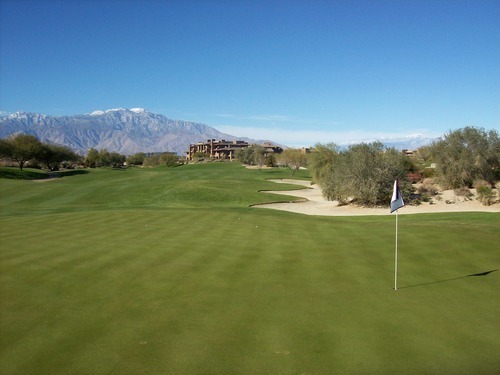 Firecliff is generally considered the “better” of the two courses at Desert Willow and I was very impressed with the course, the facilities and the conditioning. So I figured if the Mountain View course was even half as nice, I would enjoy the round immensely. 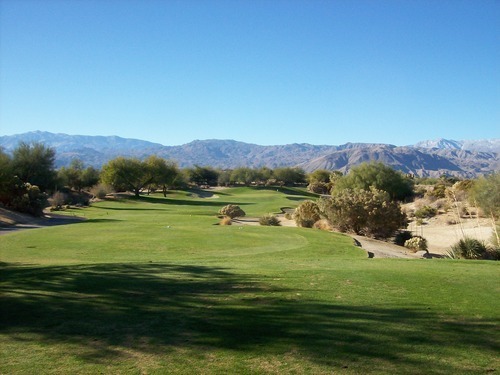 As it turns out, I found the Mountain View course almost just as interesting as Firecliff. They feature similar design elements, great desert scenery and secluded settings. 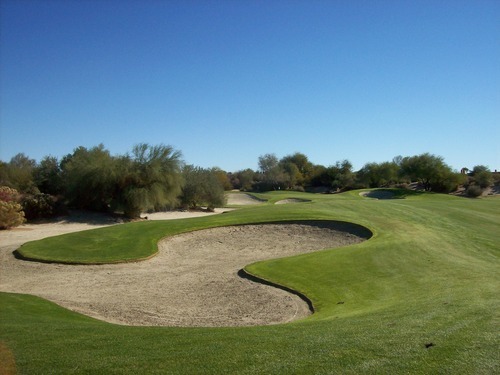 On both courses, you find similar hole designs. A lot of holes feel tight off the tee with tucked-back tee boxes and chute-like openings. 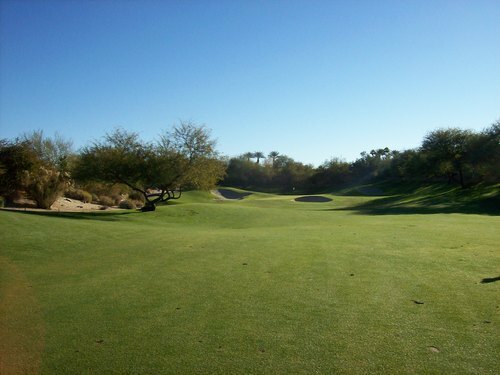 However, the holes always open up more than you would expect, making them fairly forgiving off the tee and then narrowing up again as you get closer to the greens. 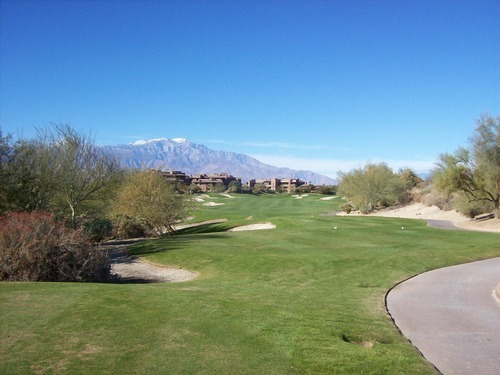 The Mountain View course plays a little shorter, but not by much. 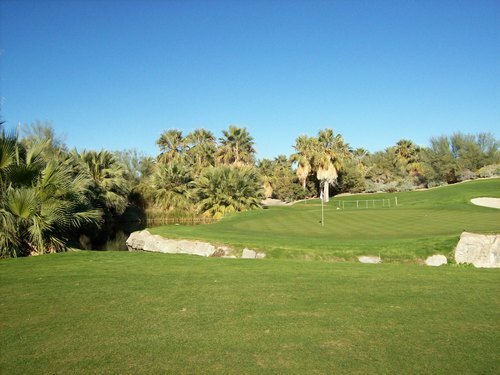 I would say both courses bring similar amounts of water hazards into play and plenty of desert waste areas framing the outer edges of the holes. 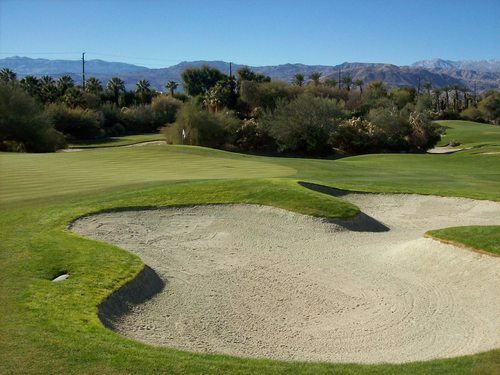 Firecliff has more bunkers and some really tough holes like 9, 17 and 18. 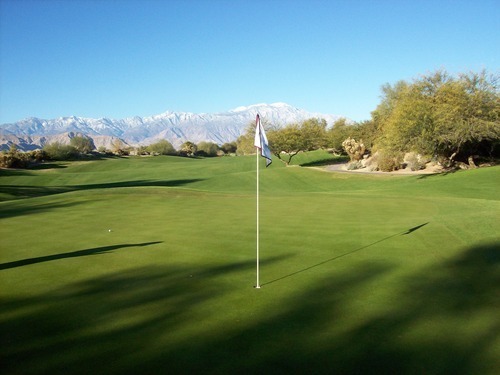 Mountain View offers a good mix of hole lengths and designs and more options for risk/reward opportunities. Some of the par-5s stood out to me in that respect, especially the 6th. 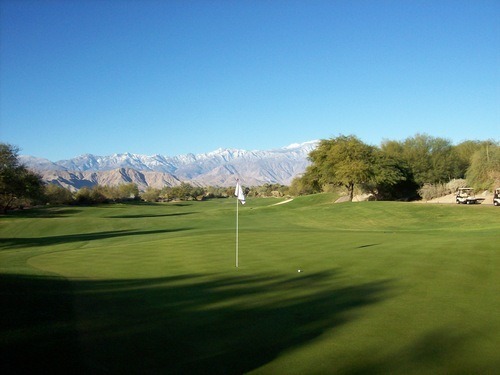 The 6th hole on the Mountain View course is a very short par-5 at just 455 yards from the blue tees. What makes it fun and tricky is a small creek that runs right in front of the green and turns into a pond along the left of the green. It’s kind of a neat little oasis area. A big bunker guards the right side, leaving not much room for error if you are going to go for it in two. Holes 9 and 18 are also really good par-5s that bring water into play multiple times and create enticing risk/reward opportunities. 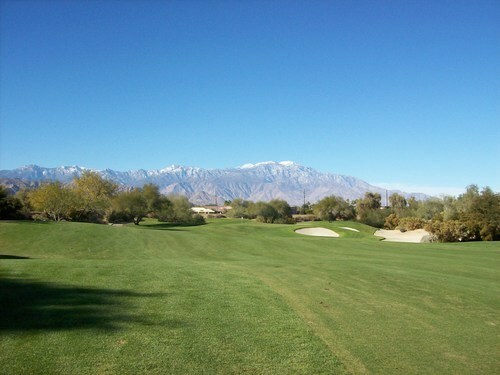 The Mountain View course also lives up to its name. 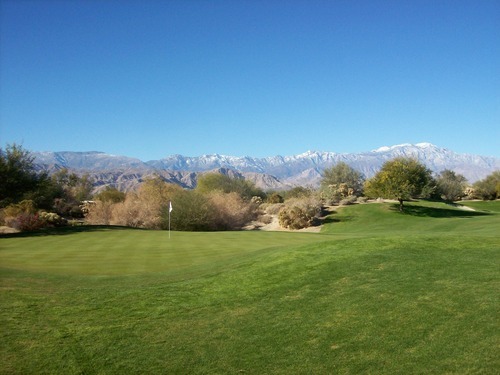 Though you see the surrounding mountain ranges from both courses (and pretty well from all courses in the Coachella Valley), you get some really great views of the San Jacinto mountains on pretty much every hole on Mountain View. Though they are well off in the distance, they do feel pretty close to this course on a clear day like we had Monday. When it comes to conditioning, I had high expectations coming in. 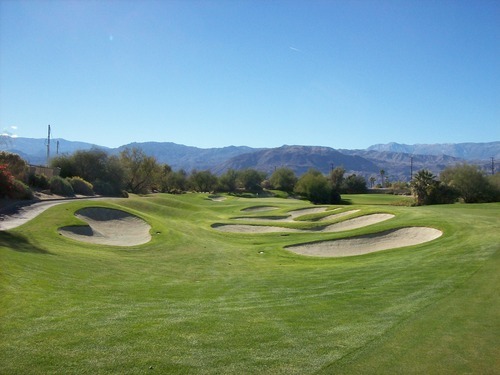 The Firecliff course was near-immaculate when I played in early December. The Mountain View course re-opened about a week later after overseeding and seasonal maintenance and it is also looking and playing very nicely right now. It’s not quite as pristine as Firecliff was on my last visit, but it’s still very, very nice. 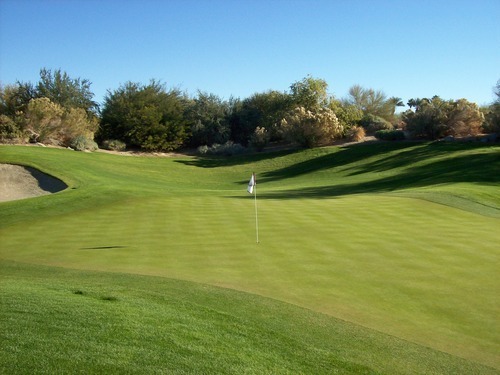 The grass is green and lush from tee to green. The greens were a little thin in spots, but played great. Receptive on approaches, smooth and rolling at medium speeds on putts. 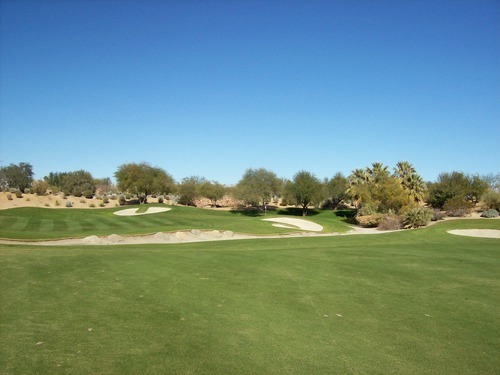 The rough was cut pretty short and I liked hitting out of that more than the fairways—even though the fairways were excellent. But then again, I like nice fluffy lies for my particular swing. 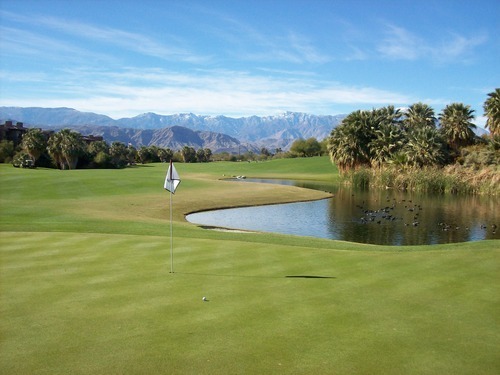 I have no complaints at all with the Mountain View course or Desert Willow Golf Resort. 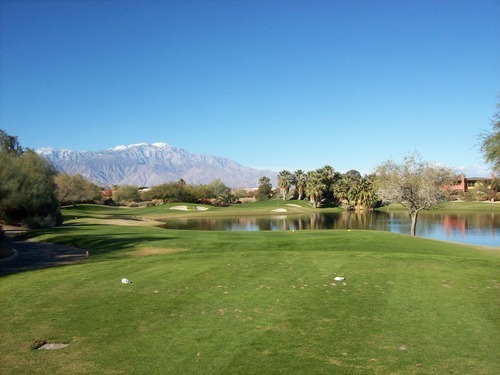 The price is a bit steep for regular play (at least for a guy like me), but the conditioning and uniqueness of the courses justify some price difference. 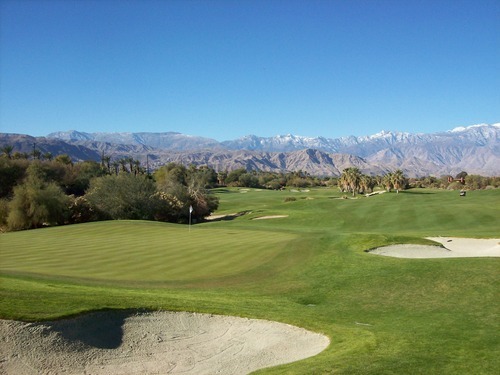 I do like that these courses embrace the desert landscape a lot more than most courses in the Coachella Valley. I highly recommend both Firecliff and Mountain View. 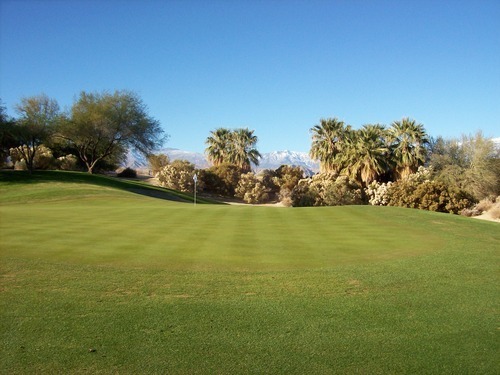 You can’t go wrong either way if you are visiting Desert Willow. 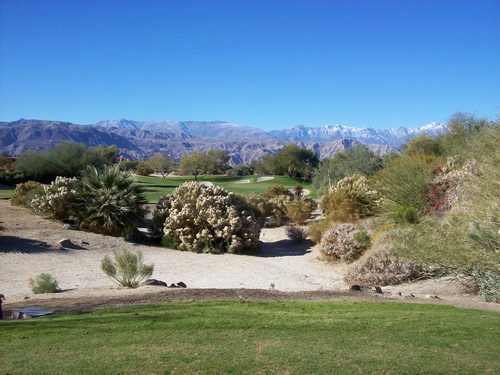 One other thing I might recommend is that you split up your visits to Desert Willow like I ended up doing myself. 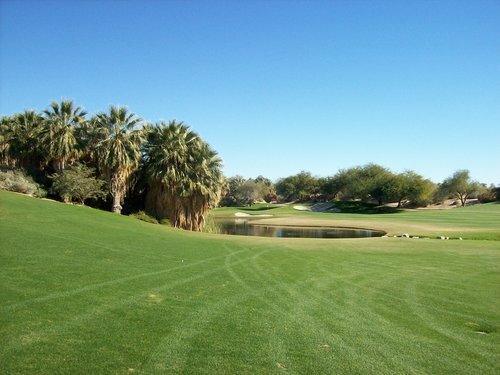 I generally love playing all 36 holes of a two-course complex in one day (like I did the day before at Westin Mission Hills). But if I did that here I might be left saying the courses blended together a little too much. 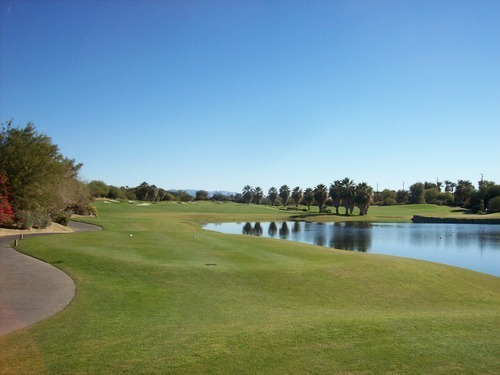 By splitting them up to different days, I was able to appreciate both courses even more on an individual level and recall some of the more memorable holes on each course. 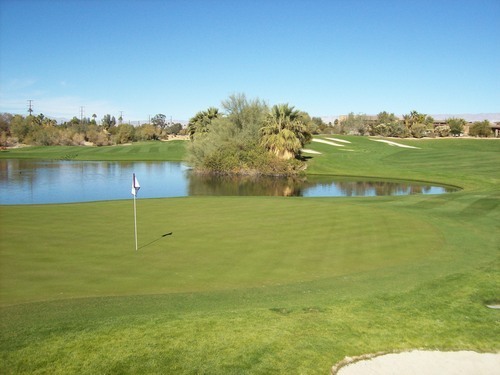 Of course, if you get a killer replay or unlimited play deal at Desert Willow, have at it because this is truly a top-notch facility!